Want to fall in love with rejection and go for no to skyrocket your business success? 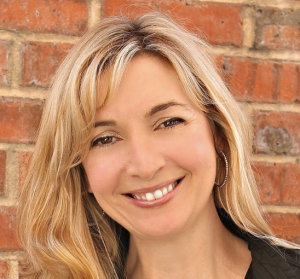 Listen as unconventional book marketing expert, Andrea Waltz, shares her powerful rejection strategies to help you create extraordinary results. Andrea Waltz, together with her husband are the Courage Crafters. As professional speakers, trainers and authors, they also call themselves “failure philosophers” and “rejection-ologists.” They are experts at helping people change how they think about failure and rejection to reach their goals and dreams. They published their first non-fiction book in 1998 when Amazon was still a jungle. 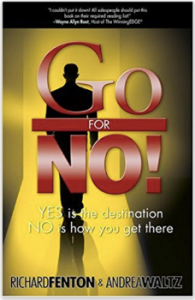 In 2000, they wrote and published a motivational sales book called Go For No which, after many trials and tribulations, hit number one Amazon sales and selling list in 2010. To date, the book has sold over 400,000 copies, with other a thousand five-star reviews on Amazon.com. In 2018, they launched an online training and coaching course called Million Dollar Book Formula, where they teach people how to write, publish, and market short books. Here’s how to contact Andrea to find out more about her products and services.